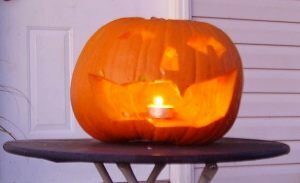 Reformation Day 500: Is Halloween Christian or not? Halloween/All Saints' Eve has been corrupted and co-opted with a great deal of commercialism, mysticism, and Modern Neopagan/Wiccan influence. But the origins and purpose of the holy day are uniquely Christian. It did not originate in Celtic practices. And despite the many articles and documentaries which may make the claim: Halloween does not come from pagan origins, witchcraft, or the occult. It was in no way attached to these kinds of belief systems in its origin. Only in the last 2 centuries have these other religious movements started to claim the day and integrate their own rituals with Halloween/All Saints. The development of Halloween as a Church Holy Day began over 1,000 years prior to any known evidence of a Celtic day or festival with the name Samhain (pronounced "Sow-in"). The All Saints' day practices originated in non-Celtic areas and were widespread before the Celtic churches adopted the practice. Annual dates varied from region to region and became fixed on Nov 1 in the 8th century. The Celtic churches adopted this date from Rome and the Frankish kingdoms. This date was adopted by the Celtic Church nearly 2 centuries before there is any known mention of Samhain in Celtic literature. All Hallows' Eve/All Saints' Day is an historically significant day in the western Church not only because of the Church feast, but also because of the events that took place in Wittenberg in 1517. This year we celebrate the 500th anniversary of the Reformation. It is more than a little ironic that the popular modern corruption of All Saints' Eve centers on fear, the supernatural, death, and the state of those who have died. This topic is addressed at this link: All Hallows' Eve in the Mediaeval Church and the Reformation. I've put together a timeline/slideshow that highlights the development of Halloween, Samhain, and Celtic influences. It is available here. And I have a short article dealing with some specific claims about a prehistoric megalithic tomb in Tara, Ireland. It is often claimed that this tomb must be evidence that Samhain is ancient, even pre-Celtic. But the claims do not really hold up. The article is: Samhain and The Mound of Hostages, Tara, Ireland. Roberta Mazza is Lecturer in Graeco-Roman Material Culture at Department of Classics and Ancient History, University of Manchester, England. Her interest are Graeco-Roman Egypt, focusing on the Byzantine period, and the rise and spread of Christianity in the Roman Empire. She is a Research Fellow of the John Rylands Research Institute and Academic Honorary Curator of Graeco-Roman Egypt at the Manchester Museum. She has done extensive research and publication of Christian Papyri and Egyptian artefacts. Mazza begins with noting the the work of M. Harl’s 1981 paper where the latter scholar noted the purpose of the Eastern Church Fathers in the late 4th century was “not so much the suppression of feasts as their limitation and purification.” (p. 161) For Harl this reflected the difficulties the Church faced in imposing a Christian festival calendar. Harl enumerated three kinds of festivals: Christian, Jewish, and Greek. But she did not elaborate on the Jewish festivals. Harl focused on the how the Fathers were leading the Christians to come to terms with the Greek festivals which permeated the culture around them. These pagan festivals were not merely rituals, but were complex expressions of social relationships, power relations, economic functions, and so forth. The term “profane” sums up all features of those feasts that cannot be done by Christians in their strictly religious character. Mazza will focus on the historical development of Bruma, or Brumalia, a feast of gentile origin, and its development from late antiquity to the 10th century. The christianization of the calendar was a long, drawn-out process. The strategy of using Imperial political authority to shape the calendar appears to be more successful than the parallel condemnations of at least part of the Church. In the 10th chapter of De Idolatria Tertullian urges Christians against becoming school teachers because they might receive gifts contaminated by idolatry. One of the gifts Tertullian specifically mentions are Brumae honorariums. He mentions Bruma a second time as one of several examples of festivals from which he urges Christians to abstain. Tertullian considered participation in Saturnalia, Ianuaria, Brumae and Matronalia as particularly grave offenses. The people he addresses were not particularly burdened with a heritage of Jewish festival practices, but the gentile pagan practices were very much a part of their cultural heritage. Tertullian works to create a distinct division between the Christian and the Gentile-pagan social practices through teaching. The idea was to prevent social mixing of pagan traditions with Christian ideology. Neither Tertullian nor the reference in Martial indicate a particular date, only the common tradition of exchanging gifts. In other Latin literature the term Bruma indicates the shortest day of the year, winter, or the winter dark. But Martial’s reference of Bruma in relation to the festival of Saturn could imply that Bruma might even be the beginning of winter. Three later documents identify Bruma with November 24th. These identifications of date are found in the Calendar of 354, Laterculus Polemii Silvii [a 5th century list of Roman emperors and provinces], and twice in the 10th century Geoponica compiled for Byzantine emperor Constantine VII Porphyrogenitus. This last work indicates uncertainty in the 10th century about the precise date of Bruma. Crawford in his 1919 “De Bruma et Brumalibus Festis” argued that the date of November 24 is an anticipatory celebration of the winter solstice. Crawford bases his argument on the calendar of Claudius Tuscus which John the Lydian translated into Greek from Latin in his De Ostentis. This calendar identifies the winter solstice by its similarities to November 24-the day to which the term Bruma is attached. A 14th century Byzantine Codex from the Bodleian Library contains excerpts of 11th century monk/historian Michael Psellos. S. Weinstock in 1948 proposed an identification with the Greek word for “sunset” found on November 22 in this document with the beginning of winter. While there is no note of “sunrise” in this calendar, Weinstock proposed a connection between the dates and the Helios-Kronos myths, so that the Calendar of 354’s use of N. Invicti on December 25 be interpreted as the “birth of the sun.” He then listed anniversaries noted in Roman and Byzantine literature which corresponded to these two dates. Thus what can be stated about Bruma is that it is a festival of late antiquity; the name is associated with November 24, the beginning of the darkest season, celebrated in a similar way to that of the festivals of Kronos, ended with the festival of Saturnalia and the winter solstice; connected with Sol Invictus. “The reference to chthonic cults is made in De Mensibus (158) of John the Lydian during the age of Justinian, when the evidence regarding the celebration are more frequent:” (p. 165) Mazza cites a longer passage from De Mensibus where John is reflecting upon the historic past to explain certain festival behaviors associated with Brumalia that he states are apparent in his day. [Note: some 500 years later]. Mazza has now argued that the generic and somewhat arbitrarily gathered festivities listed by John the Lydian were given the name ‘Brumalia’ in the 6th century because of a recently established practice of giving a name to festivities that occur during a particular span of time. John Malalas’ contemporary or recently prior Chronographia (bk. 7) shows a sort-of nationalistic interest in creating an etiology for the festival of Brumalia grounding it in the struggle of Romulus and Remus at the foundation of Rome. Malalas describes both an imperial setting for the promulgation of Brumalia and an alphabetical naming custom for the celebration. The etiology ties together the shortening of the day, the winter, and the seasonal cessation of military activities. Similar etiologies can be found in 6th century authors like George Choiroboskos. 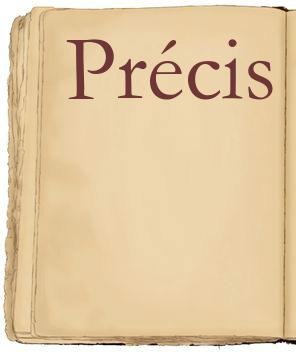 “A written oration on the Brumalia of the Emperor Justinian by Choricius of Gaza [late 5th century to early 6th] confirms the importance of recurrence and re-reflects all the elements emerging from literary works to date.”(p. 168) It also demonstrates the geographic dispersion of the festival. The oration contains the same alphabetic naming elements connected with Brumalia as well as the focus on its nationalistic importance and the seasonal cessation of military activities. Choricius’ oration on Brumalia is completely without reference to the Church or Christian religious topics. It is an imperial oration giving great space to political themes. In the Justinian era the civic estate and the ecclesiastical state are transforming the calendar to their own distinct purposes, but neither has exclusive or overwhelming power in that transformation. Most of the evidence we have is of the secular/civil festival as it took place in official contexts, though for the festival to recur it would need a level of popular acceptance. The more ‘conservative’ traditions mentioned by John the Lydian which were revived came perhaps from the common people. There is in the Corinthian Museum a 4th to 6th century funerary inscription of a Christian priest that testifies to the festival. Mazza believes the evidence converges in a way that suggest the celebration by name of Brumalia was new to John the Lydian and built out of features from different cultic practices, given impetus or promoted by Justinian. (p. 170) Mazza identifies two possible aims for imperial intervention: in alliance with the Church one goal is the neutralization of paganism and its practices, and the strengthening of the ceremonial court with public and popular ritual, games, and festivities. Mazza gives examples from the life of Justinian which are directed at these aims. Justinian had to manage the tension between honoring the principles of Christianity and the pagan cultural heritage of the vast imperial culture. The traditions of the greater pagan cultural festivals would be especially ingrained, difficult to eradicate. Repression of the pagan practices had been mandated and attempted on occasion, but some particular traditions were particularly significant to the civil public office. On other occasions after abolishing pagan practice the architecture was allowed to remain, but set apart for Christian use. In the East the limits upon civic authority and religious authority as well as the tension between them inhibited either estate from simple change by fiat either singly or as a united front. That the festival named Brumalia endured into the 7th and 8th centuries is shown in the explicit condemnation by the Council in Trullo cannon 62 (Quinisext held at Constantinople under Justinian II A.D. 691-2) and by a Synod of Rome under Pope Zachary in A.D. 743. At Constantinople a festival called Brumalia still existed in the 10th century, features of which are recorded in De Cerimoniis (bk 2, ch 18) which records observations that at this time the festival took place over two days and was of significant value to the throne. It involved explicitly Christian liturgical features and non-ecclesiastical traditions (e.g., singing, dancing, dining, processions, gift giving, candles and torch lighting). These last elements, Mazza, asserts had gone through a long period of secularization from their original gentile roots and are obvious evidence of pagan influence and symbolic or evocative of the winter solstice. Mazza closes with a final quotation and comment to show that Brumalia was understood in the 10th century not primarily as a religious issue but rather as an issue of Roman imperial identity strengthened by traditions surrounding its heritage from the founding of Rome. Marguerite Harl was professor of post-classical Greek language and literature at the Sorbonne (Paris-IV) from 1960 to 1986. She established a course on Christian writers (the "Greek Fathers") of Late antiquity. 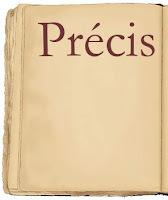 She founded the Editions du Cerf collection La Bible d’Alexandrie, a commentary translation of the books of the Septuagint, of which she published the first volume, Genèse, in 1986. She has also published research on Philo of Alexandria, and early patristic writers Clement of Alexandria and Origen. I took up this article because I saw it cited in works related to my research on Christian holy days and in my research in New Testament Textual Criticism. The author generally gives quotation of the Patristic sources in endnotes, but there are several points which seem to me to be overly general and somewhat coerced into her thesis. Harl explains that her study is not on the theological significance or spiritual interpretation of the feasts. Rather, she is interested in the motive for the prodigious denunciations of secular festivities which seem deliberately confused with pagan religious feasts. The denouncements of the Christians focus on corporate expressions of joy, so then what is left to the Christian for expressions of joy in Christian feasts or for Christians celebration of secular festivals? The Christian writers use negative examples from these feasts to teach concerning proper Christian celebration of feasts. Their writings provide evidence of how they defined a unique Christian identity separate from the world in which they lived. The data Harl selected comes from what she describes as “festival speeches” found in the Eastern Church dating from the last thirty years of the 4th century. The speeches are selected from those which focus on the annual liturgical feasts of the Christian Church: Christmas, Easter, Pentecost; or else on the commemorations of particular notable saints. The authors are notable leaders: Basil of Caesarea, Gregory of Nazianzus, Gregory of Nyssa, John Chrysostom; preaching in the cities of Cappadocia, Constantinople, or Antioch; who were experienced with monastic life. These writers show evidence of a topos (a literary structure consistent in rhetorical form) beginning with highlighting the Christian festival, the reason for observing the feast, and developing a point of doctrine to teach. Then the authors would move into the use of negative examples from pagan and secular feasts. After the brief introduction Harl presents a short discussion to highlight how these Fathers taught the appropriate use of the Christian feast to occupy the time and space of the church year as a model for the Christian occupying the time and space of the world. The Christian feast day as a “day” looks back to the work of Christ as the Savior-God-- particularly focusing on the “day” of Resurrection, teaches and enables the Christian to live in the world “today”, and builds the Christian to look forward to “the day to come” of Christ’s return. The list of negatives is strongly patterned and build revulsion by each element. The other long form is a big text from Gregory of Nazianzen is from his Christmas Sermon of 380 at Constantinople. It parallels the Discourse against Julian but includes twenty-two negations. The preacher addresses concern that the Greek ways appeal to the senses, to the belly, to social acceptance, to personal vanity; while some involve direct violations of God’s command: drunkenness, orgies, etc. The ultimate danger is falling into idolatry by setting aside Christian cultural distinctives in the celebration of Christian festivals. Harl considers this literary topos successful. This literary form of denunciation is found in three other festival addresses. These are Paschal homilies of insecure attribution: the most complete is from Astrius the Sophist and combines the Pauline formula with the double refusal; another is attributed to John Chrysostom, the third, later, is from Leonce of Constantinople. Harl turns to making some general observations apart from the local features of the festivals and the rhetorical form. First: Secular festivals must be purified. She observes four consistent points across the denunciations. it must take place in an interior space (family and church) without deploying in the streets and public squares. And Fourth: “The most important information that these warnings give us is that the preachers consider it useful to do so: they attest to the real competition that the pagan festivals still held at Christian festivals, as also the official documents of the Church.” (p. 132) Harl then turns to a brief examination of these Church documents. Observing the Jewish Sabbath laws. Accepting gifts given by Jews which come from Jewish feasts. Similar prohibitions are found in the Apostolic Constitutions (A.D. 370-85) and the Theodosian Code (A.D. 438). These were enacted with the force of law suppressing pagan festivities and setting Christian feasts apart with special protections. Harl notes that these denunciations of pagan practices were for the renunciation of sin, but she asserts that these denunciations are better explained by the preachers’ higher social status as monastics. Concerning this assertion she makes three points. Gregory, Brad S. 2017, "Rebel in the Ranks: Martin Luther, the Reformation, and the Conflicts that Continue to Shape our World." This is just an example of the problems with Brad Gregory's recent book: "Rebel In the Ranks: Martin Luther, the Reformation, and the Conflicts that Continue to Shape our World." Gregory identifies the root of all modern problems with Luther's Sola Scriptura. Page 108: "Urging the average layperson to determine Christian teaching from the scriptures is like asking someone who's never worked a blacksmith's forge or operated a bellows to hammer out some horseshoes." Well, Dr. Gregory's words are more fitting if made as an assessment of the poor condition of the teaching of the church at that time. Assume that the common layperson were required to attend church at least once a week, more often than that would not be too presumptuous for the late Middle Ages. The comparison would be more accurate if likened to asking someone who has been required by church law to be instructed every week for his whole life by a blacksmith, shown how the tools work, and given personal instruction in the use of those tools, the hammer the bellows, the forge--someone who has even been shown by hand how to make a horseshoe and physically lead through doing the process by the blacksmith. Why then should the layperson be unable or unqualified to make such a determination? I wouldn't assume that they were unqualified, unless, of course, the blacksmith was teaching them incorrectly or misleading them all those years about what it means to be a blacksmith.